This year Fire Prevention Week is focused on preventing kitchen fires in the Municipality of Tweed, and across the province. The best way to prevent kitchen fires is to never leave cooking unattended, says Acting Fire Chief Mike Broek. Unattended cooking is the leading cause of home fires and injuries in the province. Many times residents will leave the kitchen for only a few minutes and sadly, that's all it takes for a dangerous fire to start. By taking responsibility to prevent fires from starting in the first place you are helping to keep our community safe. Pay attention when cooking - especially if you are using oil or high temperatures. If you must leave for any reason, turn off the stove. Wear tight-fitting or rolled up sleeves when using the stove. Loose, dangling clothing can easily catch fire. Keep a proper fitting lid near the stove. If a pot catches fire, slide the lid over the pot and turn off the stove. Never attempt to move a burning pot. Keep a close eye on anyone in your household who is drinking and attempts to cook. 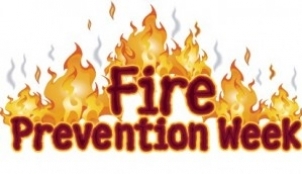 The Municipality of Tweed Fire Department will be holding a door to door fire alarm campaign in the Village and Hamlets from October 8th-11th to raise public awareness about Fire Prevention Week and the importance of preventing kitchen fires. For additional tips on preventing fires you may visit the Fire Department page of our website.